Snow dusted along the front yards of Trinity Street in Newton. Photo by Jennifer Jean Miller. 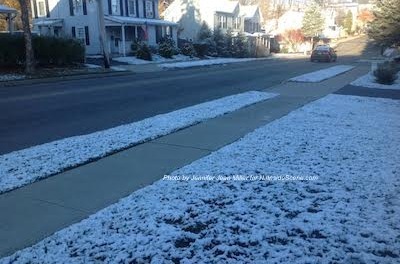 SUSSEX COUNTY, NJ – Winter weather has made its first showing, though its only Nov. 14. Temperatures were cooler yesterday, with highs in the low 40s with overcast skies. As night fell, light sleet-like precipitation began to fall around the Northwest New Jersey area, which later turned into snow. Though the snow did not stick to road and cement surfaces easily, the light dusting has remained on grassy surfaces, decks, and rooftops. The sun rises along Trinity Street near the Municipal Building and Police Station for a chilly morning start. Photo by Jennifer Jean Miller. In Newton, the temperatures are currently 27, clear and sunny, according to Weather Underground, with highs today only expected to rise to 40 degrees. 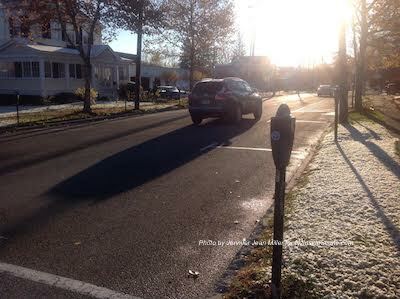 Conditions are similar throughout Sussex County. Tomorrow, similar conditions and temperature ranges are expected, again, with clear skies. Sunday, Nov. 16, temperatures are anticipated a few degrees warmer, beginning at 32 with the high temperature at 45. Rain is expected to fall beginning Sunday night, into Monday, expected into midday and ending Tuesday. Temperatures for Monday, per Weather Underground, are expected at a high of 39 for the Newton area. Temperatures begin to drop again into the 20s Tuesday through Friday, with clear skies, and highs in the low 30s and 40s. Weekend temperatures for the weekend of Nov. 22, are calling for the same, with partly cloudy skies. 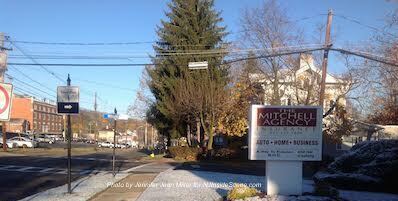 Fall colors intermingle with snowy surfaces near Mitchell Insurance in Newton. Photo by Jennifer Jean Miller. 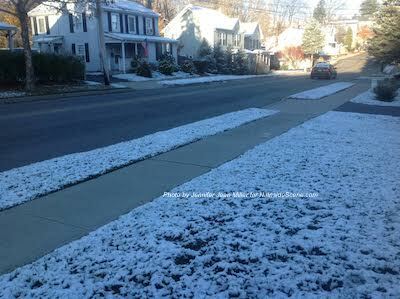 Editor’s Note: NJ Inside Scene will continue to keep readers advised of the wintry weather conditions. 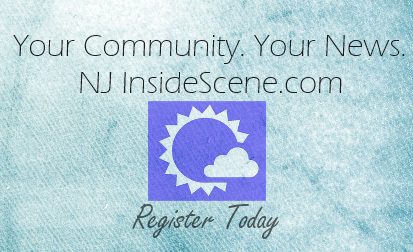 Stay on the scene, with NJInsideScene.com for news and alerts about the conditions, and school and business closings and delays, as the area proceeds into the winter season. Click here to follow us for the latest updates on Facebook.